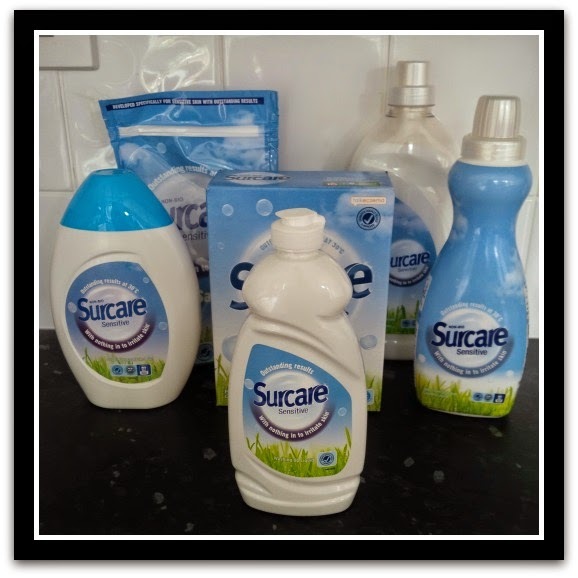 This month I was luckily enough to be able to try out and review the Surcare range. I was so excited! I know that says a lot more about my (lack of a) life than the possibly the product but when you reach a certain age certain things become more important. Like sleep, comfort and looking after yourself a bit more which is where Surcare come in. Surcare’s products are all fragrance free with absolutely no products at all to irritate your skin making them perfect for babies, children and allergy sufferers like myself. With no dyes, no acids and no enzymes or perfume just nice clean fresh smelling clothes. I suffer from an allergy to fabric conditioners. It makes my skin really itchy and irritated so it goes without saying I don’t use it ever. As you can imagine my clothes, bedding, towels can be a little rough at times as there isn’t really anything in my wash to soften them. I also tend to use the same soap powder brand religiously as other products can irritate my skin too. The last time I remember using fabric conditioner myself it was a leading brand aimed at babies so I thought well, I should be OK with that shouldn’t I? Wrong! I thought I was doomed to life with rough towels and itchy skin. 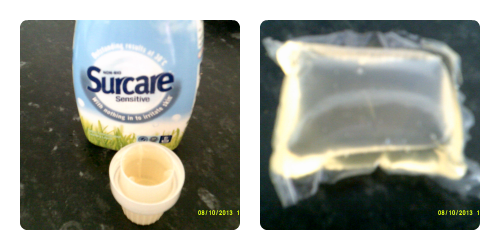 Then I received the above package from Surcare. The whole range which includes washing up liquid, soap powder, liquid detergent, gel liquid and capsules and lastly fabric conditioner *dum, dum, dum* Would I, could I, should I? I did. For the first time in over 8 years I actually used fabric conditioner and I did not itch! At all, not even a little bit. If I am completely honest I actually forgot I had used it/was using it until about 3 days in (starting to wonder how I get through my days? Yeah me too!). When I realised I was wearing all the clothes that had been washed with fabric conditioner I noticed there was no irritation. Nothing at all no itching, scratching nothing! Surcare’s amazing formula of nothing extra added to their products is exactly what my skin, and clothes need. For the first time in years I actually have soft clothes, snuggly towels and happy skin I couldn’t believe it at all. Their washing up liquid also cleans just as well as my preferred big name brand too but my hands aren’t nearly half as dry after using it as they used to be. What more could you want! Based on current prices at Asda Surcare’s products are slightly more expensive than what I usually pay as I always buy bulk at offer prices, but they are not so expensive that I wouldn’t buy them at all. In fact I think I may be a convert, actually no, I will be converting 100% to Surcare I am that impressed by the quality of the products I have been using. They clean just as well as other brands but with nothing in to irritate my skin and I am so grateful to have actually found this product. Highly recommend it to anyone with sensitive skin or looking for something delicate enough for newborn or absolutely anyone!